What is the Purpose of your Strapping? 1) Reinforcement: Strapping can be used simply to reinforce the load. 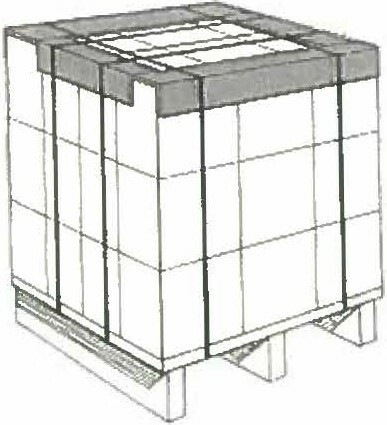 Reinforcement refers to increasing the structural integrity and strength of a container. 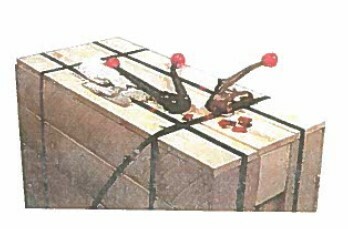 Crates or wooden boxes reinforced with steel strapping reduce the number of nails needed as well as the amount and thickness of lumber. Plastic strapping can also be used to reinforce a load. For example, a corrugated container filled with fresh vegetables is less likely to burst under shock when surrounded by polypropylene plastic strapping. 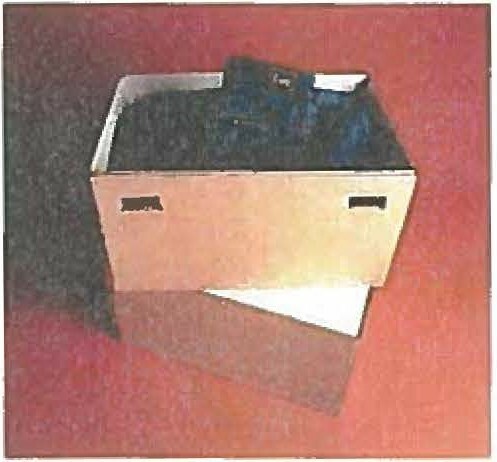 2) Closure: In addition to being used as a reinforcement material, strapping is frequently used to close corrugated containers, as well as plastic returnable containers and tote boxes. 3) Securement: Securement is yet another strap application. Securement means making sure that a product will remain in a given configuration. 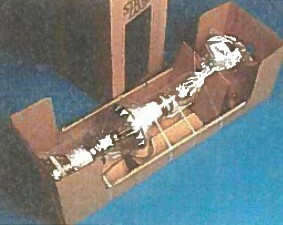 For example, Gerrard developed a package to secure expensive lamps in corrugated "cradle" trays which are then shipped in a corrugated sleeve. This packaging innovation reduced the amount of interior packaging materials and saved $45,000 in annual labor costs. 4) Unitizing: Strapping can also be used to unitize. 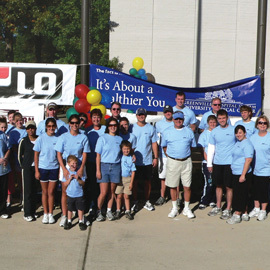 Unitizing is the group of two of more units so they can be moved and handled as one. The resulting unit load will be uniform in shape, usually a square or a rectangle. 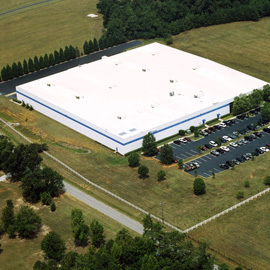 Unitized loads often consists of unpackaged products such as lumber, corrugated cartons, concrete blocks and brick. 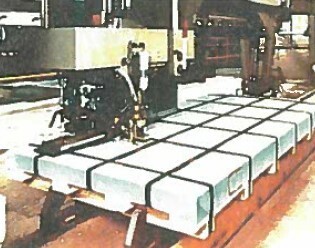 5) Palletizing: Palletizing is one form of unitization by which a load is secured on a pallet. 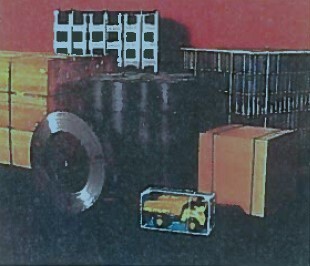 Corrugated cartons which are secured to the pallet with strapping and/or stretch film is the most common example of a palletized load. Strapping patterns can consist of one or more vertical straps parallel to each other on the load, or one of more horizontal straps. There is also a pattern combining the horizontal and vertical straps. The strapping pattern one uses really depends on the number of items, their pattern on the pallet, and the overall height. 6) Skidding: Skidding is a heavy-duty form of palletizing. 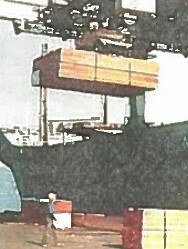 Skids generally have two or three runners made of heavy timber, but no bottom deck. 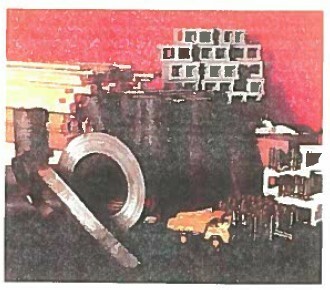 Products typically shipped on skids include tinplate, metal coils, and paper. 7) Bundling: like unitizing, joins a number of smaller items into a package. But unlike larger unit loads, bundles are not necessarily uniform in shape and are frequently handled manually rather than by materials handling equipment. 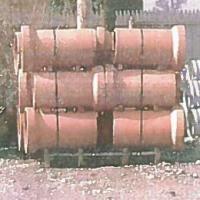 Commonly, bundling is used to contain long, thin shapes, such as tubing or small diameter pipe. And like unitizing, bundling deals most often with unpackaged products. 8) Bailing: Baling is a method of securing compressible material which would otherwise form a loose pile. Baling reduces the cube size and makes the load uniform so it is easier to stack, handle and store. Cotton, synthetic fiber and scrap paper are often baled. 9) Maintain Compression: Yet another purpose of strapping is to maintain compression. Strapping over-filled telescopic cartons of meat or apparel are good examples of strap maintaining compression. 10) Pilferage ProtectionL: Strapping can also be used to deter pilferage. Loads unitized with strapping and Angle board comer posts make pilferage a poor risk for thieves. Containers can't be removed without breaking down the entire load, making thievery time consuming and obvious. 11) Tiedowns and Bracing: Tie down lading on open-top vehicles is yet another way strapping prevents damages. Once the purpose of the strap has been identified, you must diagnose how the load's physical characteristics will affect the strapping materials. 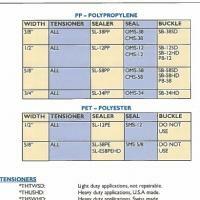 Corners have a direct bearing on the type of strap which you select. For example, you do not want to use plastic strapping on a rigid load such as steel blanks because the sharp metal edges will cut through the poly strap. Corners also cause strapping to lose tension. 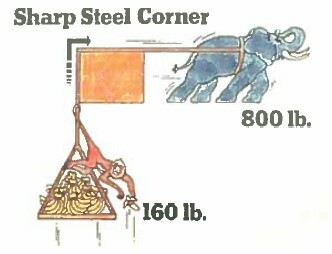 For example, if 800 pounds of tension is applied to a strap, the amount of tension that goes around every sharp corner is only 160 pounds. 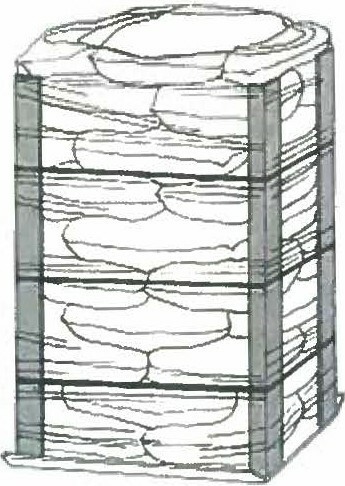 However if you place corner board or plastic edge protectors on the same corner, tension transmission increases to 660 pounds. Weight also impacts the strapping type as well as the size of the strapping that is recommended for the application. 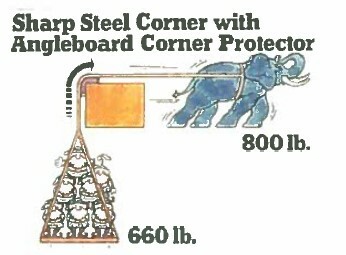 For example, a 10,000-pound load of steel would not be strapped with plastic strapping. Similarly, you would not strap lightweight fragile products with heavy duty steel strapping, which could potentially damage the contents. The integrity or stability of a load is another characteristic that will affect strap selection. 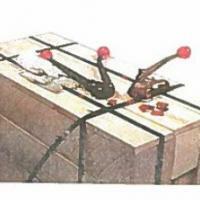 Loads made up of several packages tend to separate if they are not unitized with strapping. Strapping provides stability by helping to secure products in solid, stackable unit loads. Load stability, corner type and load weight are package characteristics, which play a critical role in determining which strapping to select. But, strap selection goes beyond even those considerations. How the load will be handled, stores and shipped most also be examined. Rough handling like this requires a heavier duty strap with greater impact absorption. A load picked up by overhead crane requires more careful consideration than a product that is handled by conveyor or fork lift truck. Where the load will be stored and for how long effects strapping choice. All of the plastic strapping, in varying degrees, are vulnerable to extreme conditions of heat, cold, humidity, and sunlight. One has to consider whether the loads will be stacked or stored in racks. If the loads are to be stacked, then a plastic strap may be the logical selection to take up the slack when the compression of the other loads is removed. What is the mode of shipment? Will it travel by truck, railcar, air or overseas container? Railcars are frequently impacted in switchyards, therefore the load requires a strap that will absorb shock without breaking. How far will the product be shipped? You may strap a load differently if it goes across town, rather than across country. How will the ultimate receiver handle the product? This question is just as important as how the shipper will handle the product. These are just a few of the questions you'll want to review when choosing your strapping material. Purpose - What function does the strap serve? 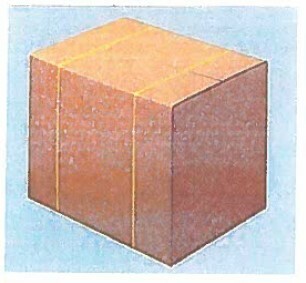 The Package Characteristics - What are the characteristics of the shipment? For example: Is it heavy? Are the corners sharp? How stable is the load? 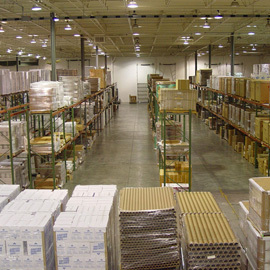 Handling, Storage and Shipment - How will the load be handled, shipped and stored? As a doctor carefully diagnoses the needs of each patient, only when we have fully examined all of the factors impacting the encompassing "health" of the packaging application can we match the correct strapping to the load.